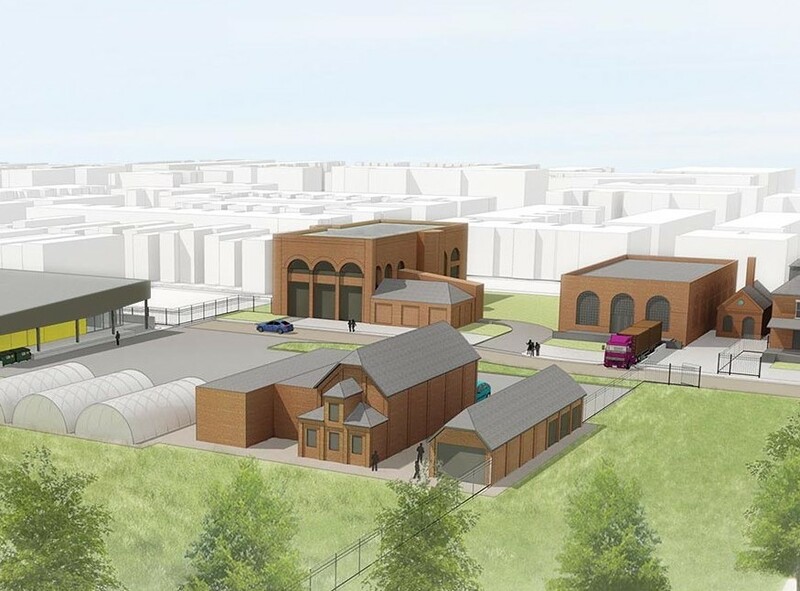 The Baltimore Food Hub (baltimorefoodhub.com) will help connect wholesale customers with locally produced foods. KK&P's research was conducted in tandem with the development of the food hub. 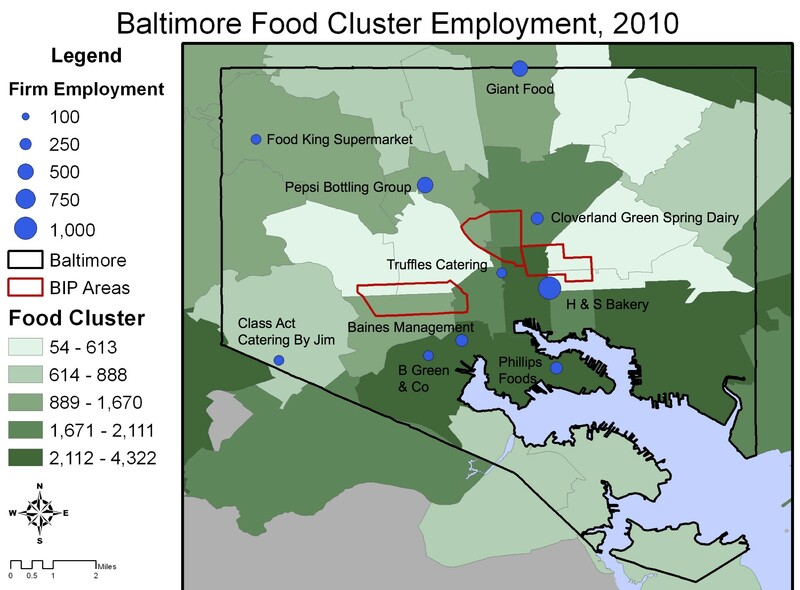 This map, by ICIC, visualizes food business employment in Baltimore. 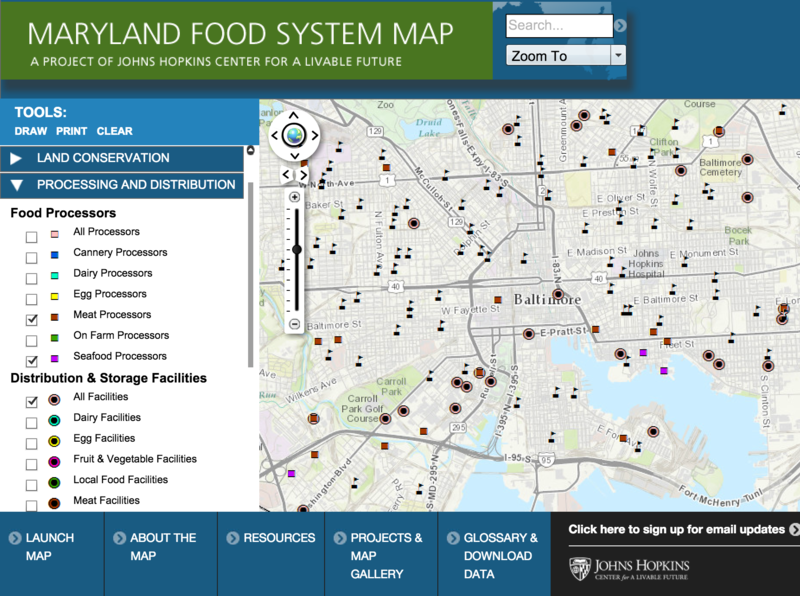 The Maryland Food System Map (mdfoodsystemmap.org) combines extensive food system data sets. This map shows schools, processors, and distributors, helping to visualize potential links for local procurement for institutions. The Association of Baltimore Area Grantmakers - a public/private partnership dedicated to advancing the labor market prospects of unemployed and underemployed Baltimore City residents - and the Baltimore Integration Partnership - which focuses on establishing economic inclusion as the business culture norm in the Baltimore region, through local hiring, purchasing and community reinvestment - engaged the services of Karen Karp & Partners to identify opportunities to increase local food spending in order to support economic development goals by leveraging anchor food procurement. Anchor institutions in Baltimore spend $16 to $20 million on food each year. Directing that spending to local suppliers could support more than 100 jobs. Anchor institutions in Baltimore spend $16 to $20 million on food each year. Since every $140,000 that anchors spend on food products with local firms supports one job, increased local spending on food can support more than 100 jobs. Baltimore area hospitals spend an additional $36 to $57 million, which could quadruple the jobs impact of local food procurement. KK&P’s work on this project included researching the Baltimore-area food cluster and the landscape of food purchasing at local anchor institutions. We conducted over 50 interviews with anchor representatives, Baltimore-area food business owners, and other food-related initiative leaders. KK&P created detailed analyses of anchor purchasing data and proprietary data on the makeup of the food cluster in Baltimore. We identified local suppliers that could meet anchor foodservice requirements, and then held a vendor fair to introduce participating anchor institutions to local suppliers. All the participating anchor institutions made new purchases from one or more of the suppliers KK&P identified. We also made recommendations to support anchor procurement at institutional level, as well as public policy and legislative recommendations. Anchor institutions also incorporated our recommendations into RFPs for new foodservice providers.